To be a missionary is not so easy unless you trust in God completely without which your sail won’t be easy. You need to trust the Lord in every circumstance, even when things might not be in your favor. For women who lost everyone dear to her life including her husband, child, mother and her sibling would have been very difficult to trust in the Lord. She was not an independent woman and yet when she got the calling from the Lord, she left her country, people behind and went to a French-speaking country to share the gospel. It was not easy for women in the 19th century to travel alone and settle in a new country all by herself and yet that’s what she did. She risked her life many times so that other people might know Jesus Christ. Madame Henriette Odin Feller was born on 22 April 1800, in Montagny, Switzerland. She was one of five sisters and a brother. At the age of three, she got a chance to move along with her parents to Lausanne, as her father was appointed as a director of the canton’s hospital and later appointed as an administrator of a prison. Odin Feller was sent to a Protestant school from age 6 to 12 by which she acquired all the necessary learning from the school. After coming back from school, she moved loved to visit and help the needy and elderly people in the hospital and then visit the jail. Odin Feller married M.Louis Feller, a 51-year-old widower with 2 children when she was 22 years old. They were blessed with a baby girl Elize, but she became sick and died at the age of three. Two months later, Louis also died. Within five years, one after the other death occurred in her family, her child, husband, sister and then her mother. She herself got stricken with typhoid fever. Odin feller became very depressed. 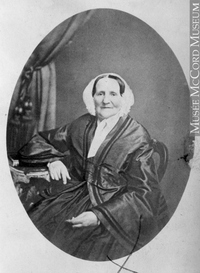 Once she was listening to a message from a preacher saying “The time has come, Canada is open.” By hearing the preaching, she dedicated her life as a missionary for the French-speaking people in Canada. She replied, “That is something I can do!” I can speak French well thus I can help them to read the Bible. Odin conveyed her decision to her father as she was a young widow rather independent, her doctor father forbade her to go. This is crazy you are a woman, and you must not travel to a foreign country alone! Father raised his voice: Woman is not strong enough for that kind of trip! Surely you will be buried in the sea Doctor gave her a warning. But Odin knew what God wanted her to do. She left home in Switzerland to travel far across the sea to Quebec, Canada. She began her work in a territory that was controlled by the French people Christians but not according to the pattern of the Bible. At first, she noticed that the people had welcomed her but when she started teaching the kids and families to read Bible, trouble started brewing. At that time priest were the only one to read the bible. They became very angry when they learned that Odin was teaching the people to read the Bible. Burn all your Bible! The priest ordered the people. Do not even talk to Feller. Odin was forced to move to another land, where she started a small school with the help of her friends and started teaching adults and kids to read. The book that she used was Tthe Bible. Within a year a small group accepted Jesus Christ as their Lord, they took baptism and gathered as a church. Because of their new faith, the believers had to face so many tribulations. They were treated badly, the shopkeepers wouldn’t sell them things. So they had to move from there again to another land. There were around 50 believers who had fled to Champlain along with Odin. The Christians over there helped these new believers. After two months, the Quebec governments passed a law to help the new believers. They promised to pay back all the damages done to these new believers. They were allowed to return to Canada. 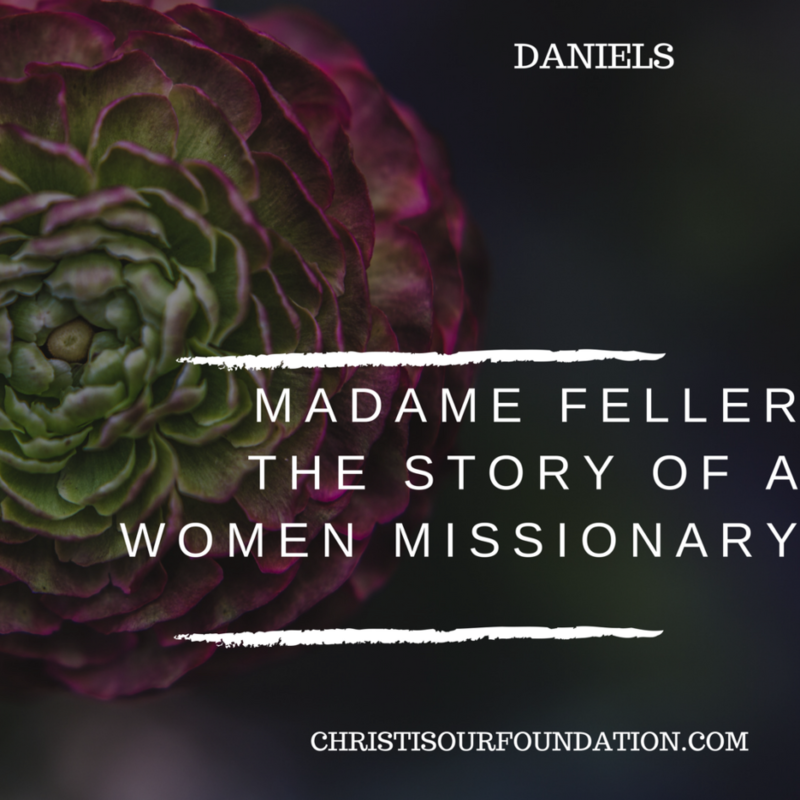 She was lovingly called as Madame Feller and because of her, many people accepted the Jesus Christ as their personal savior. What is your calling today and what is stopping you from taking that step forward? This article was posted in the category Josephine/Youth.To read more articles in this category check here.